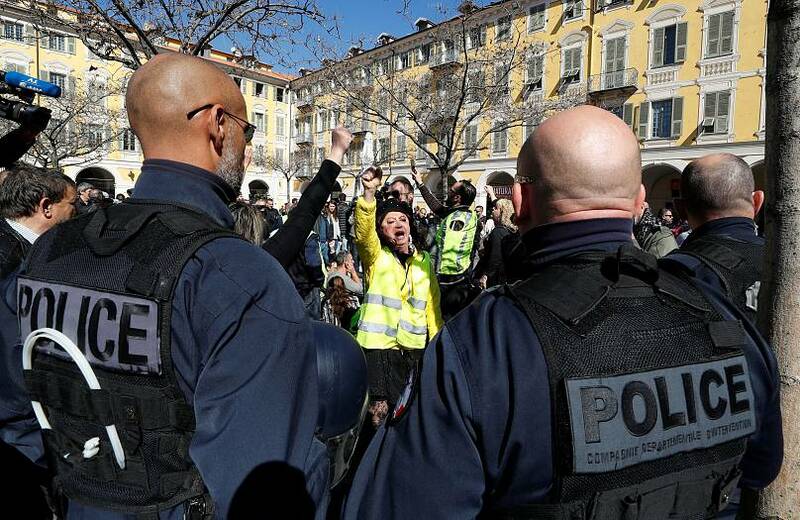 A French policeman is in "very critical condition" after suffering a cardiac arrest in the middle of the 19th consecutive weekend of "gilets jaunes" (yellow vests) protests on Saturday. 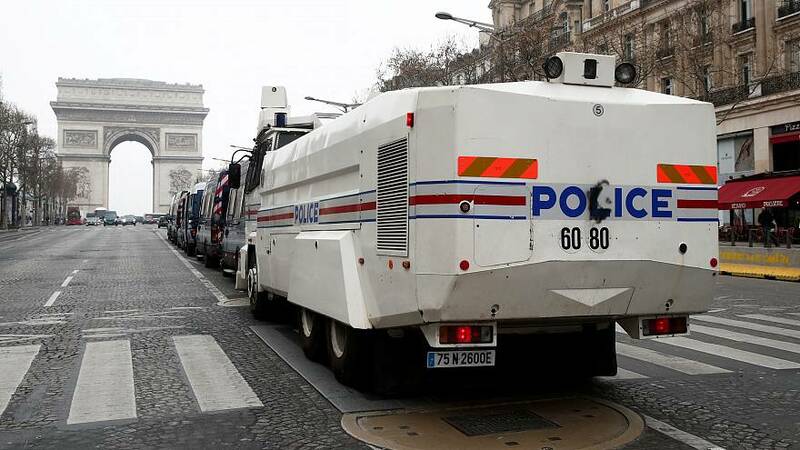 French Interior Minister Christophe Castaner said the policeman suffered a "serious cardiac arrest" and that he was closely monitoring his condition. The scenes of lawlessness prompted the government to act: Paris' police chief was replaced, protesters have been banned from the Champs-Élysées and fines for illegal gatherings have been increased. Socialist Party candidate, Benoît Hamon, expressed his concerns on Thursday that the government was releasing an "arsenal of security and martial measures". The "gilet jaunes" demonstrations began in November amid anger over rising fuel taxes, but have since snowballed into a broader backlash against France's president, Emmanuel Macron, and his government.